Among the 607 graduates were tailors, welders, mechanics, hairdressers, sandal makers and micro-entrepreneurs. Accredited education is in high demand among refugees. A new pilot project sees 32 learners graduate with EU-certified education that opens unforeseen doors for the future. Rwamwanja refugee settlement rarely experiences traffic jams, but today the main road is packed. 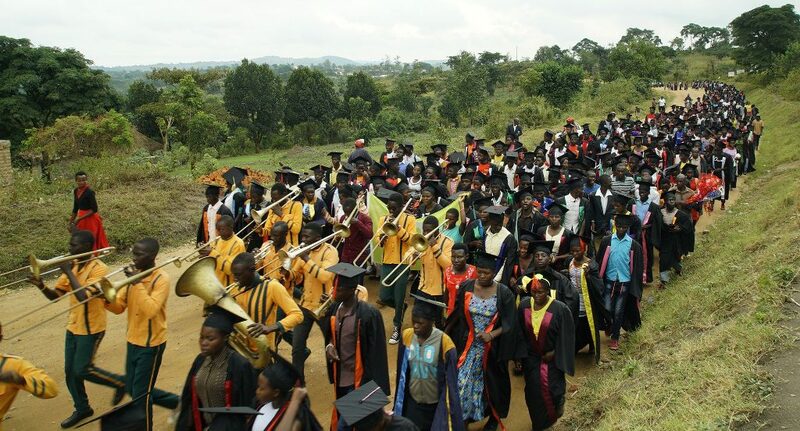 Over 600 youth dressed in graduation gowns march towards a brighter future, bursting with pride. 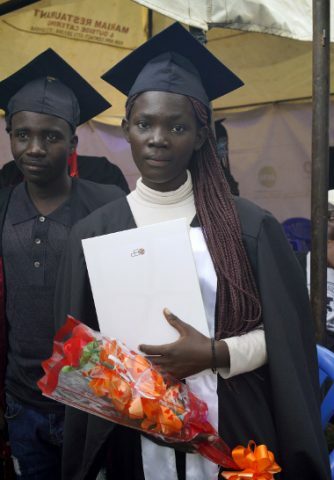 Their graduation from FCA’s Business and Vocational Education Training Center has gathered an additional crowd of followers and special guests, even from the highest level of the Ugandan government. 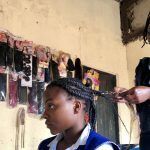 “With this experience, I hope I can one day find somewhere to study”, says Rachel Ngenge Binwa, 18. The Training Center has been running since 2015, but today’s graduation marks the first time that part of its graduates receive a diploma of global significance. Rachel is one of 32 students receiving a Finnish diploma in micro-entrepreneurship. During the ceremony, she is mentioned as one of the most successful learners. “I developed interest in starting poultry farming, and at the end of the training my business was up and running”, Rachel says proudly. Rachel studied agriculture in the Business and Vocational Education Training Center before enrolling in the micro-entrepreneurship program. Now she has EU-certified secondary education. The training programs for the Finnish diplomas build on needs and requirements of the private sector so that most find employment. Their competence has been assessed according to standards developed by the Finnish National Agency for Education, under a programme called FCA College. The college was co-founded by Finland’s largest organisation for development cooperation Finn Church Aid (FCA) and the international education and training provider, Omnia Education Partnerships Ltd (OEP). “Diplomas are recognised within the EU and open doors to applying for higher education even abroad”, says FCA College’s programme manager Ville Wacklin. However, the immediate aim is that youth receive a strong endorsement for their actual skills. 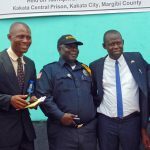 “The education provided by development actors has mostly been informal, although most need accredited vocational education that leads to opportunities for decent livelihoods”, Wacklin continues. There are more refugees than ever, and only about 20 percent of them have an access to secondary education. The challenge grows when most of the refugees are youth, whose futures are at stake. Almost 70 percent of Rwamwanja’s 70 000 inhabitants are youth, and the situation is similar in other refugee settlements. This training helps them avoid a vicious cycle of unemployment and desperate ways of coping, like crime or radicalisation, Wacklin says. The program is also open for vulnerable Ugandan youth. Already an overwhelming part of over a thousand learners that previously graduated from the training center have found employment. The Finnish diplomas for micro-entrepreneurs take learning to the next level. Being able to access meaningful and recognized education during their displacement equip refugee youth to reconstruct their societies, when the time comes to return home.